Note the pricing has NOT been finalized by Astro-Physics at this time. The currently listed price is based on the current estimates published by Astro-Physics. Final pricing is still subject to change. The Mach2GTO was announced at NEAIC/NEAF 2019. It is not currently available for order through Astro-Physics or its dealers, but expected first deliveries will be in Fall 2019. 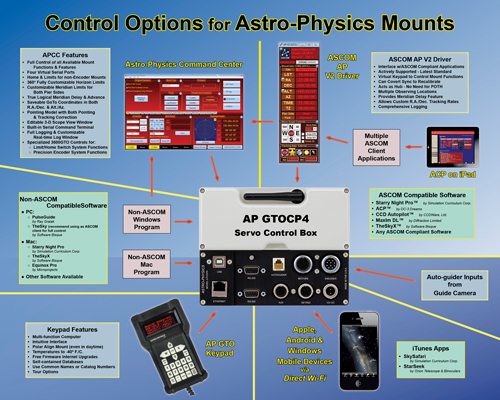 We will update this page as soon as Astro-Physics begins accepting orders. We at Cloud Break Optics do have an open notification list. Email Matt@cloudbreakoptics.com or give us a call and to place your name on our list. NO DEPOSIT IS NECESSARY, and there is no obligation to purchase. As soon as Astro-Physics begins taking orders, we will send notifications to folks in sequence on our list to finalize their orders. Astro-Physics is absolutely excited to introduce their new Mach2GTO Universal Robotic mount that sets a new standard for portable telescope mounts. It is so easy to use that you will be up and running in no time at all and the mount will simply disappear into the background. No fuss, no bother. Astro-Physics has developed a new control system which combines the precision performance of the Renishaw Absolute Encoders with the whisper-quiet motion of brushless micro-step servo motors to produce a very accurate observatory grade mount that can also be set up in just a few minutes in the field. The mount can be operated manually via the clutches or electronically with the encoder loop providing the pointing and tracking functions. All of Astro-Physics' 1100GTO and 1600GTO mounts with Absolute Encoders have always used the Renishaw Resolute Absolute Encoders for precise positioning and tracking. Now our newest mount, the Mach2 has Renishaw encoders built-into every mount. 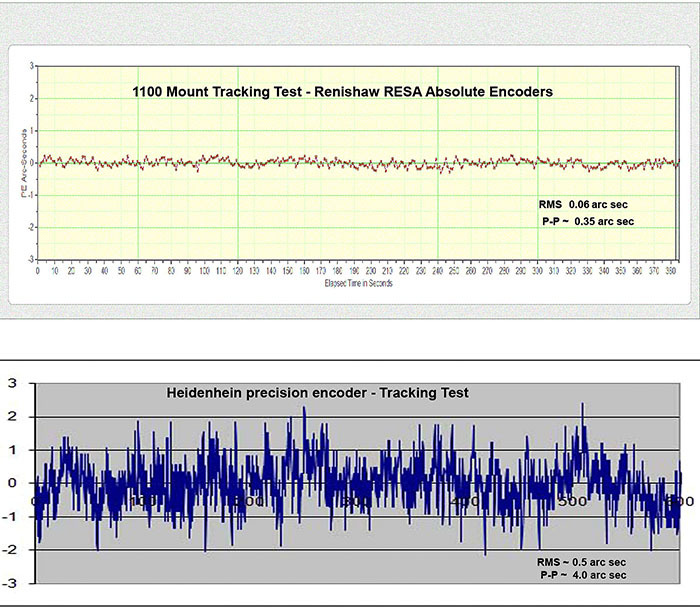 What are the main differences between the Renishaw and other less expensive relative encoders? Because of the ever present interpolation error (SDE) with low cost relative encoders, AP decided long ago that they would not use them. 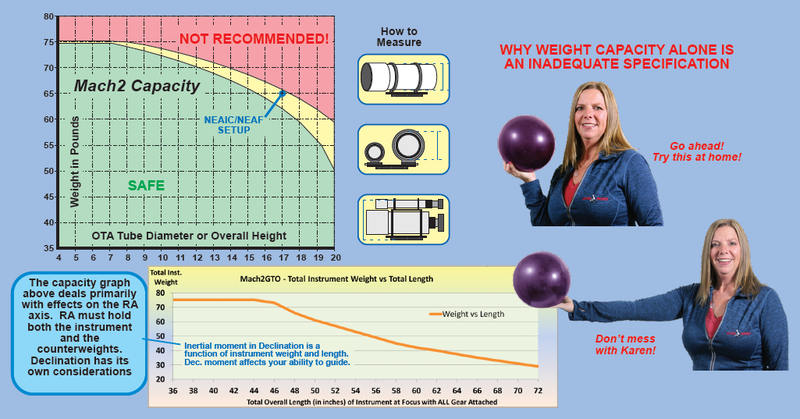 Renishaw absolute encoders use a different type of interpolation system that smooths out the SDE to a level that is not detectable. There is no mechanism for a relative encoder to remove the SDE.